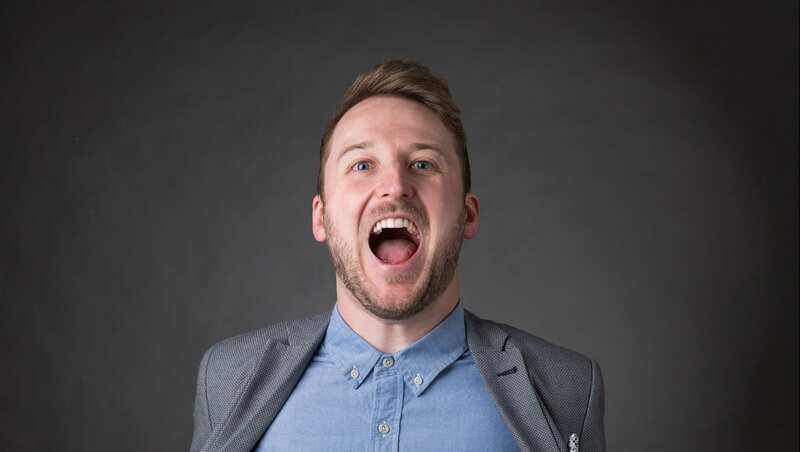 Described by The Sun as ‘Scotland’s brightest comedy talent’, the Glaswegian comic’s sharp one-liners, brilliant turn of phrase and clever wordplay has made him a perfect choice as a regular panelist on BBC Radio Scotland’s satirical comedy show ‘Breaking the News’. In August 2016, Stuart made his debut at the Edinburgh Fringe, with his show ‘Dealt a Bad Hand’, at The Pleasance Courtyard. The show received critical acclaim and sell out audiences every night throughout the month, culminating in an extra show due to demand. The show recently toured venues throughout Scotland to further critical acclaim. Since making his comedy circuit debut in 2009, Stuart has very quickly become one of the most exciting talents in recent years, performing across the biggest comedy clubs in the UK and has supported both Stewart Francis and Hal Cruttenden on their National Tours. He was shortlisted in 2013 for the prestigious BBC New Comedy Award and was a Finalist in the NATYS competition in 2012. Stuart has written for ‘Mock the Week’ (BBC1), appeared on ‘The Loser World Cup’ for BBC Radio Wales and ‘On the Road’ with BBC Scotland. He is now working with BBC Comedy, on a scripted development project.